We’ve all seen Iceland’s Christmas campaign which has been ‘banned’ from TV. But, is it a deliberate ploy to gain publicity for the brand, or a genuine attempt to raise awareness? Last year Iceland made the brave decision to move away from celeb-heavy TV campaigns in a bid to establish itself as “retail’s best kept secret”. At the time their marketing director Mel Matson said “there would be no return” to the cheesy ads which shows reality TV star endorsements. 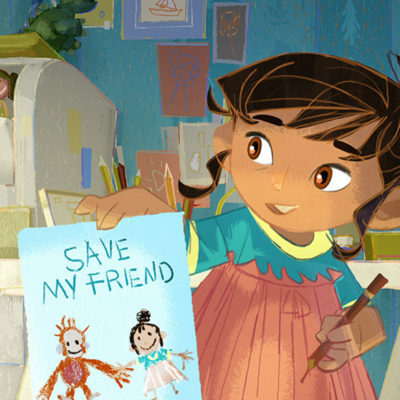 This year, the frozen food giant made an even bigger statement, striking a partnership with environmental organisation Greenpeace to run its 90-second animated film ‘Rang-tan’, as its Christmas 2018 advert. The new advert is a far cry from the old school Christmas ads which involved the likes of Peter Andre, Jason Donovan, Coleen Nolan and Kerry Katona dancing around a table decked with Iceland festive bargains. The ad, which is narrated by Greenpeace ambassador Emma Thompson follows the story of an orangutan called Rang-tan, who goes to live with a little girl after his forest home has been destroyed by the palm oil trade. On Friday 9th November Clearcast, the body which approves ads for broadcast on TV, declared that they would not sign off the ad, as it ‘breaches political advertising rules’. The breach does not relate to the content of the advert itself but instead the fact the ad was originally created by Greenpeace. Since that day, the response on social media to the campaign being banned has been huge. On Twitter alone, the ad has 97,000 likes and has been retweeted 92,000 times. With many celebs even jumping on the band wagon, including the likes of Stephen Fry and James Corden. On Iceland’s YouTube channel, the video has received over 5.2 million views. While on their Facebook page the ad has had 16 million views and has been shared over 685,000 times. Now there have been numerous Change.org petitions, attempting to get the ad released on TV, some with over 900,000 supporters. To the cynics among us the up roar over the banned ad opens Iceland up to accusations that the high profile fallout is all just part of the plan. Iceland Foods Group managing director Richard Walker has insisted that this could not be further from the case, stressing that the company did not see anything “political” about the advert and was simply trying to raise awareness. Since the release of the advert, Iceland’s consideration among consumers in the supermarket sector has shot up 5.9 points to a score of 21.6. Even without forking out the huge costs for television advertising, a lot can be achieved if a campaign gains a social media presence. Whether it was a deliberate ploy for publicity or an innocent attempt to raise awareness, we can all agree that the banned advert has catapulted Iceland’s name in to the spotlight just in time for the festive season.